Climbing behind the steering wheel is a milestone moment for any teenager. 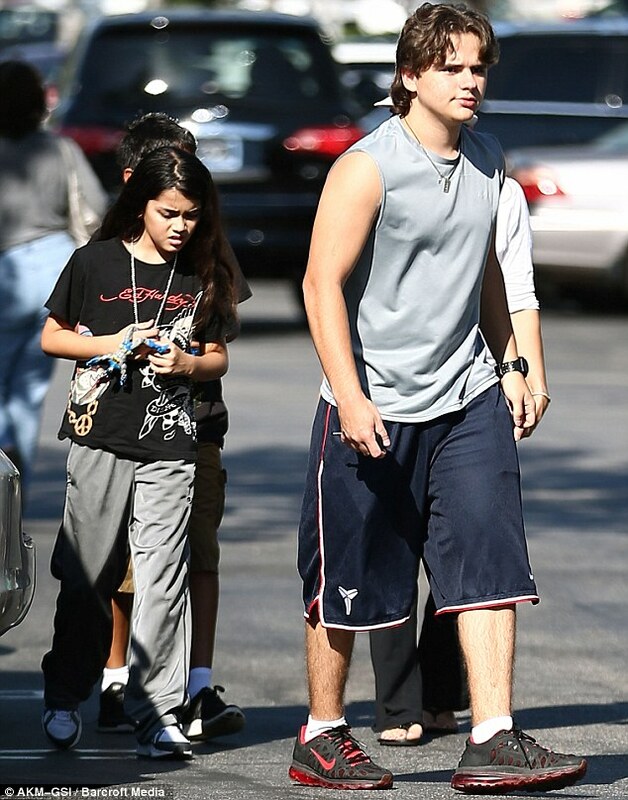 But it seems Blanket Jackson is already quite confident in his older brother Prince's driving abilities, for he was happy to accept a lift in Los Angeles on Sunday. 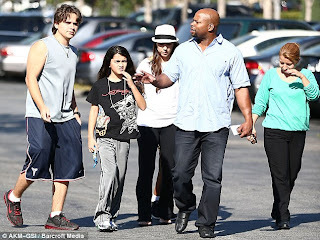 The pair, who are the children of Michael Jackson, had just went to the cinema with a group of friends in the posh area of Calabasas when he decided to sprint ahead from the group. It soon turned out the 15-year-old was running so he could get to the car early to adjust the seat and mirrors. In the US children can obtain a learner's permit six months before their sixteenth birthday, and Prince's birthday is in November. He will be able to get his and driver's license soon after, as soon as he passes his test with six months driving experience logged. 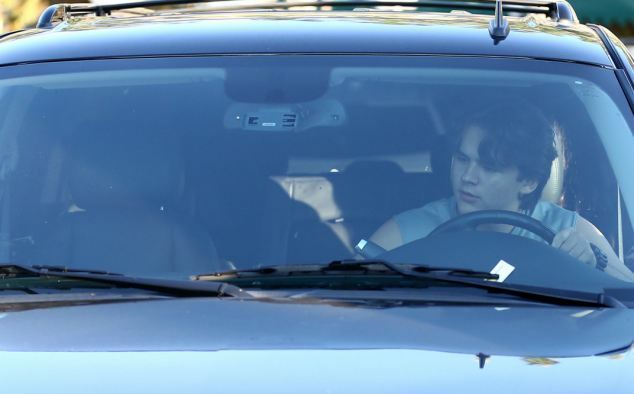 While Blanket, 10, also seemed pleased that his brother was behind the wheel, he also chased behind him to make sure he adjusted his seat and mirrors properly. When the gang were all in the car it was finally time for Prince's big moment, and under the close supervision of his minder he put the car in gear and carefully checked his blind spot . His father, who was known as the Prince of Pop, would surely have been pleased to know the teenager double checked to make sure there was no Man in the Mirror before he gingerly pulled away. One person conspicuous by their absence from the outing was the boys' 14-year-old sister Paris. Just a fortnight ago she had accompanied the dynamic duo to a Los Angeles comic convention, with the trio obviously inheriting their Dangerous father's love of the genre. While she may have been busy doing other things, the fact she had taken a rain check also suggests she may not yet have complete confidence on her big brother's competency in charge of such a large vehicle.